"Solving Real Business Problems by Connecting Learning with Earning"
Leadership in International Management (LIM) is proud to present these comprehensive books on the influential ARL process for developing individuals and teams. Readers may never think of learning, training, or teaching the same way again! 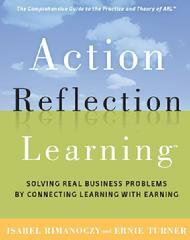 Building on the pioneering fundamentals of effective adult learning and many of the core principles of today’s popular action learning methodology, Action Reflection Learning delivers a next-generation approach that will transform the way adult learning takes place. Through dozens of stories of real people, making real changes in the way adult learners learn, the authors demonstrate how to apply these methods and techniques to design and implement more effective learning interventions in any number of settings—from leadership development workshops to one-on-one coaching. Isabel Rimanoczy, a Legacy Coach and partner with Leadership in International Management (LIM), is the recipient of the Author Scholarship Sven Ake Nilsson award for her contribution to knowledge development and scientific innovation. 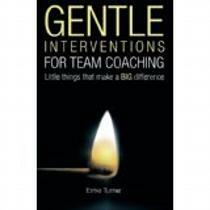 Ernie Turner is president of LIM, a global network of experienced coaches trained in ARL. Do you know what the return on your current investment in Executive Development programs is? Have you ever wished that Executive Development programs would address your executives� actual business challenges? How much do your executives apply day-to-day from what they are learning in your current development programs? Measuring the ROI on your training budget? Developing engagement at all levels of your organization? A learning methodology that has proven to do all these?